Nirvana was an American grunge band. 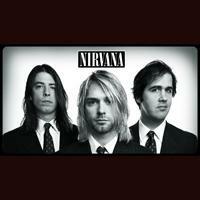 The band became successful after the release of the single Smells Like Teen Spirit from the album Nevermind. This new sound that broke away from underground punk and alternative rock was emulated by other Seattle grunge bands like Pearl Jam, Alice in Chains, and Soundgarden. Kurt Cobain, lead singer of the band, was named the 'spokesman" of the generation, and Nirvana was named the "flagship band of Generation X". Nirvana`s end came in 1994 with Kurt Cobain`s premature death, but their popularity continued to grow in the years to follow: 50 million records sold prove this. Vote and help us decide which of their albums were the greatest.